While there are many great travel books out there, Jody's book should be number one on your list this year as we celebrate our country's 150th birthday. There's no better time to read up on traveling across Canada, and to add a new destination to your family's summer calendar. 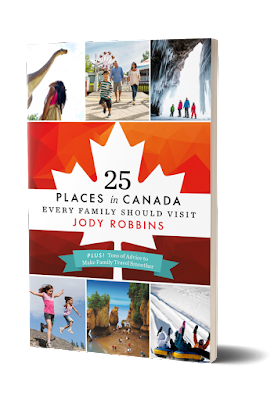 What to Expect from "25 Places in Canada Every Family Should Visit"
Chapters divided up by specific region or area for quick research when planning a vacation. This way you can choose to focus on the chapters that will address upcoming trips, or read about areas that hold a specific interest for your family. Travel tips at the back of the book addressing topics from how to survive a road trip to money-saving tips, or even how to make camping easy. 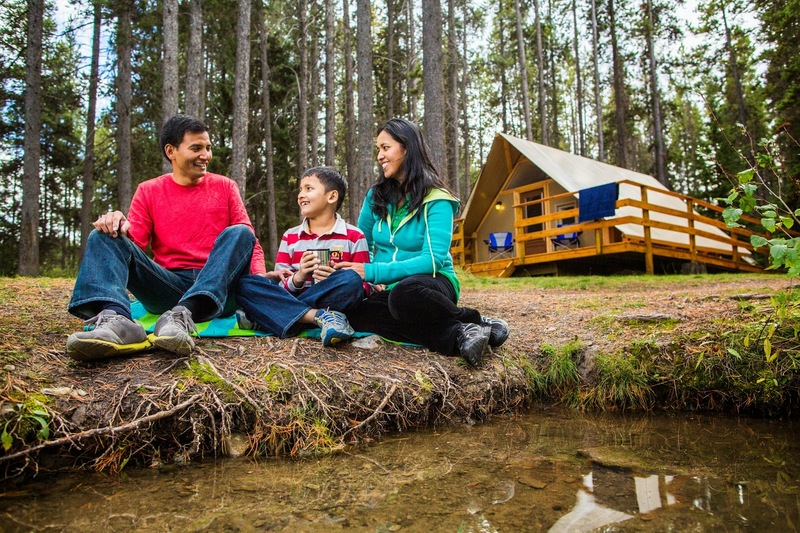 A great resources section that includes information on tourism boards across the country, tour operators (broken up by province,) suggestions for where to rent baby equipment across the country, and even some handy apps to help you in your travels. 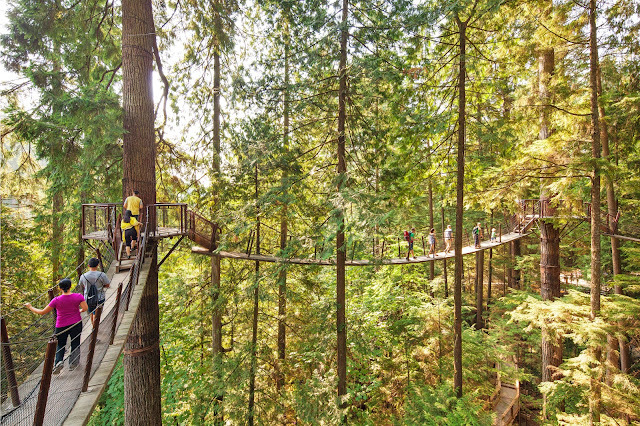 The Capilano Suspension Bridge, Vancouver - I didn't know they had a treetop adventure park with hanging bridges! The Sea to Sky Gondola, Vancouver - They have a Via Ferrata that takes 8 year olds!!! The Forks, Winnipeg - Going to Winnipeg! - Seriously, the playground is one of the best in Canada and is huge! The Toronto Zoo, Toronto - Yes, I like zoos, but this one also has a big splash park with small water slides and animal figures in it. How awesome is that for kids?! Canada's Wonderland, Toronto - Do I want to ride Canada's longest wooden roller coaster? Um, heck ya! Niagara Falls, Ontario - I've always wanted to go and now Jody has me wanting to do the "journey behind the falls" tour. Blue Mountain Resort, Niagara Region - Ropes courses, a zip line, a mountain coaster, and a bag jump free fall - FUN! The Rideau Canal, Ottawa - I read in Jody's book that on Sundays throughout the summer season you can bike along the Rideau Canal and other scenic roadways - without traffic! They close the roads! Sign us up for this one! And that's only BC through Ontario! There are many more places yet that I'd like to visit with my family on the east coast or in northern Canada. Great summer reading, light and easy to pick up when you have a free minute here or there. Read the chapters that most interest you and keep the book on hand as a reference book. This is not a "borrow from the library" kind of book. You'll want to own it so that you have it in your collection for future planning. For more information or to order a copy of Jody's book, visit her website at Travels with Baggage. 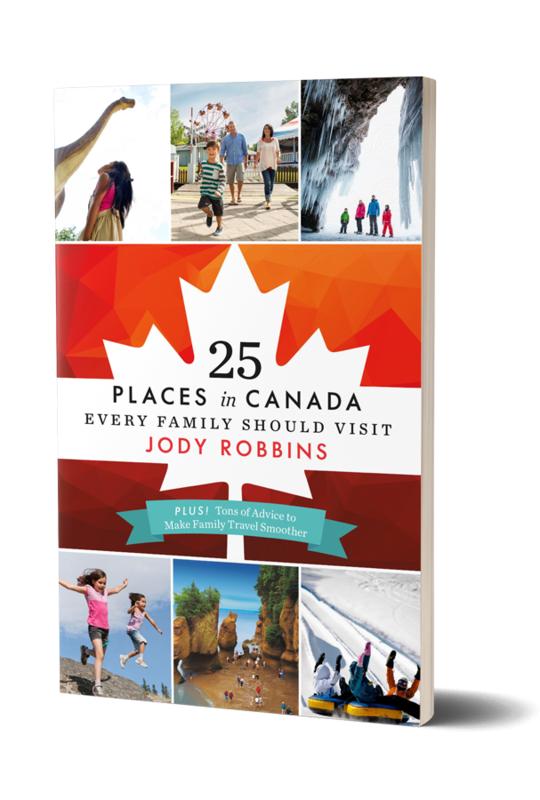 Enter to Win a Copy of "25 Places in Canada Every Family Should Visit"
Enter below to win your own copy of this great book. Contest is open until June 23rd. A winner will be contacted by the 24th. If I don't hear from the winner I will choose a new winner on the 26th. Thanks Jody for providing me with a copy of the book to review. All words and opinions are my own and I was not paid to write this review. I grew up on the West Coast and my kids are growing up in Alberta. Although they've certainly been to the coast, I haven't managed to take them to Vancouver Island, the Gulf Islands or Desolation Sound yet; they're high on my family bucket list! Sounds like a fun book that's great for travel inspiration. Love to visit PEI. This is on my list to buy, but would be great to win a copy! This country of ours is so amazing! I would love to find more great places to visit in Canada! Would love to travel with our kids - especially PEI! I would love to visit any of the territories with my family. This looks like a great book. I have been fortunate to have had the chance to check out almost all of your bucket list shared on this post. Would love to get to Churchill Manitoba with the kids to see the polar bears and also to see the territories and Newfoundland as they are the only provinces/territories I have yet to visit or live in.